SCM software by the professional ERP companies are technically incorporated with different best in class applications that have industry specific functionalities and features. This solution is highly qualitative and facilitate you by giving you the power to plan and execute all the business processes. As you all are aware of market trends, they are changing and increasing day-by-day. By seeing the rapid change in the market, ERP software companies now also try to make such software which easily suits with each industry needs. For this, they are adopting the customization technology, through which users can have the software structure & functionalities exactly as per their working environment. Supply chain management is everyone's need nowadays, hence can be easily found in different verticals. 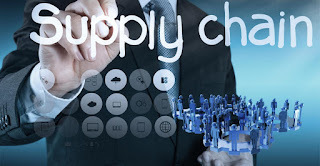 As per surveys, this has been proved that after using supply chain management software, you will get easy and greater visibility regarding your entire supply chain network, which in turn provide better process optimization, utilization of resources, improve inventory area and deliver the accurate consignment every time. Supply chain management software in India plays a significant role in all the industries whether it is small, medium-sized or big enterprises. The powerful software solution integrates all the activities of various departments of an organization in a single system to streamline the entire process of supply chain. Chemical and pharmaceuticals: Whenever entrepreneurs want to manage their supply chain in chemical industries, SCM software will help them in getting accurate information at the right time. It responds faster to gain the tenders and also assists in improving the production capacity of concerned pharma products. Food & beverage: Forecast production process, optimize entire distribution and boost profits in food & beverage companies with the help of a comprehensive system. With this type of software, modules or accounts get created for volume based constraints such as ovens, freezers and tanks. Having information about all these constraints helps business in maximizing productivity & throughput and also result in reducing waste. Electronics: These applications opened the sources for each industry vertical including electronics, where it is primarily needed. It offers to the users full insight and visibility, which not only help in gaining customer loyalty, but also improve the profitability ratios. Automotive: In the automotive sector, SCM software specifically performs to improve vehicle components production, inbound production logistics and all the spare parts' logistics management. Trading & distribution: Distribution phase or department is more important for all verticals, as it can decrease or increase the business development levels up to some extent. Therefore, business handlers should now implement the supply chain management system to place better collaboration with the suppliers and the customers. It also helps in managing process complexity which results in driving higher service levels.